The Stock Market Crash of 1987: Twenty-five years on…. 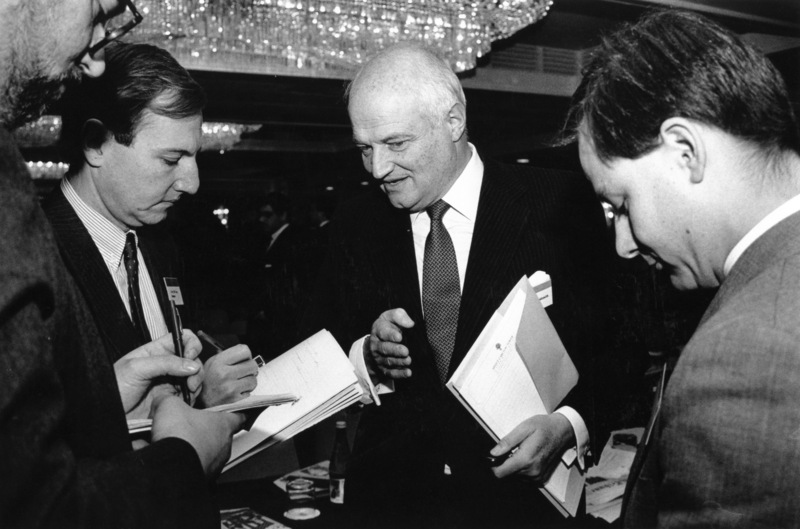 There was one man who seemed to see it coming: Sir James Goldsmith, Anglo-French billionaire, global environmentalist, suave corporate financier, elegant bon vivant. Ladies man. Was he Ian Fleming’s inspiration for James Bond, or for one of his villains? What I know now from the perspective of 25 years in business after having first met Sir James is that I learned a very great amount from the man. He famously sold most of his stocks just before Black Monday, Oct. 19, 1987, and then he tried to achieve one of the world’s largest leveraged buyouts. It was a privilege to get to know him well. He was one of a kind.